Hong Kong shares are likely to fall on Monday, tracking weaker overseas markets, as disappointing U.S. housing and durable goods data raised concerns about the health of the world's largest economy. 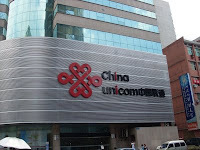 China Unicom (0762.HK) will be in focus after the firm said it would buy back a stake held by SK Telecom (017670.KS) (SKT) for $1.3 billion, with the South Korean shareholder exiting after China Unicom's move to boost its alliance with Spain's Telefonica(TEF.MC). The benchmark index on Friday fell to as low as 20,766.46,its lowest since Sept. 8, before trimming losses to 21,024.40 at the close of trade, down 26.33 points. * Lighting manufacturer Bright International Group Ltd (1163.HK) said it would buy gold mines in China for a total of HK$7.41 billion ($956 million) to tap rising prices of the precious metal. * Sinopharm Group Co Ltd (1099.HK), China's largest drug distributor, posted first-half net income attributable to equity holders of 481.9 million yuan ($70.58 million), up from 326.2 million yuan from the same period a year ago.